Choose a product below. 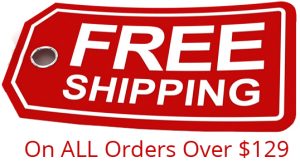 You can get free solar screen fabric samples or get fabric, frame and hardware samples for a small fee to cover shipping costs. 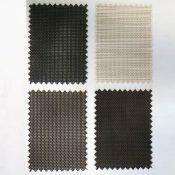 Get a free sample pack of solar screen fabric swatches. 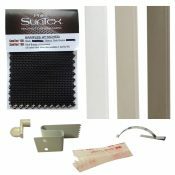 Each sample pack contains 80% Black, 80% Stucco, 80% Dark Bronze and 90% Dark Bronze. However, all 3 colors are available in both 80% and 90% when ordering solar screen fabric or solar screen kits through this website.